Tesla Motors are just making cars powered by electricity. 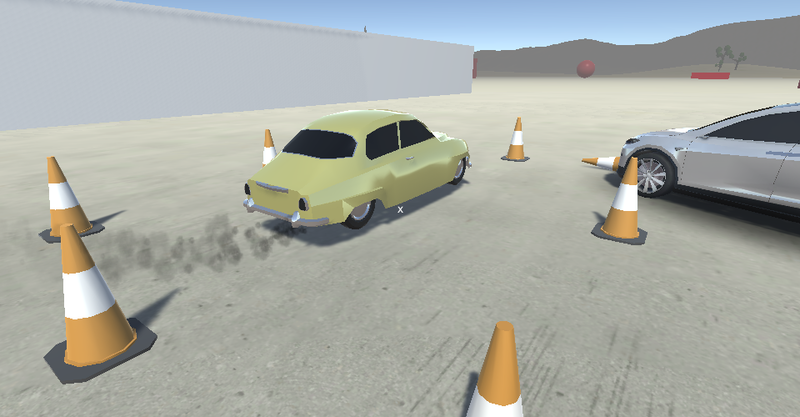 To sort of show the difference I came up with the idea to add a real Gas Guzzler that is spewing out dirty fumes to my Tesla Motors Simulator. So I recycled an old model from another project. This model is an old Saab 92 from the late 1940's. You can really see it spewing out black exhaust fumes. Looks interesting, and maybe you want to crash into it? Then you can drive it here: Tesla Motors Simulator.